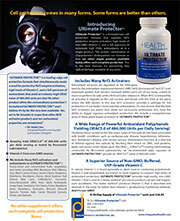 Do you know HPDI has a foundational supplements system? And that HPDI’s system of Foundational Supplements is part of the comprehensive HPDI supplements system? Foundational supplements are basic supplements providing essential nutrients that should be the “foundation” of everyone’s daily regimen. They are the foundation of a complete nutritional supplement program. They are the like the base of a pyramid in a complete nutritional supplement program. All six HPDI foundational supplements are designed to provide a complete range of essential nutrients to complement a healthy diet and lifestyle. They help ensure sufficient levels of nutrients necessary for good health. And they are the first supplements we recommend taking as part of a complete nutritional supplement regimen. Foundational supplements are the cornerstone in the HPDI supplement system. That is, HPDI offers a three-tiered system of nutritional supplements: Foundational Supplements, Enhancement Formulas, and Specific-Condition Formulas. The three “tiers” combined represent a complete nutritional supplement program. When customized appropriately to meet the needs of individuals, the three tiers of nutritional supplements help create optimal health. You can visualize the HPDI supplement system as a cone or pyramid having a base of Foundational Supplements ascending toward an apex of Enhancement Formulas and Specific Condition Formulas. The HPDI Supplement System includes six Foundational Supplements—four primary and two secondary—including multivitamins, vitamin C/antioxidants, essential fats, and Rejuvenate! superfoods. 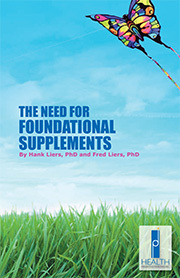 We recommend six basic types of foundational supplements. The six categories are: 1) multivitamin formulas, 2) vitamin C / antioxidant formulas, 3) essential fats, 4) high-RNA foods (Rejuvenate! superfoods), 5) gut health formulas, and 6) hydrogen formulas. We further break down the six foundational supplements into “primary” and “secondary” foundational supplements. The first four (listed above) being primary and the last two (gut health and hydrogen formulas) being secondary. This doesn’t mean that gut health or hydrogen formulas are less essential, depending on the person. But typically we recommend the first four in order. We established the original three types of foundational supplements about 1988. We have always recommended multivitamins, vitamin C and antioxidants, and essential fats, as being the most important nutritional supplements for establishing and maintaining general health. 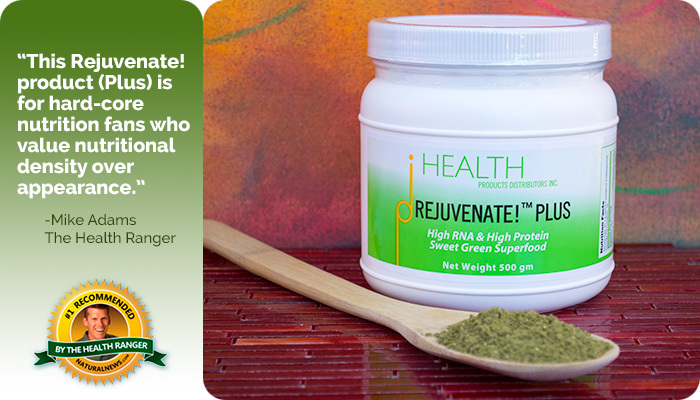 We later added high-RNA foods (like Rejuvenate! superfoods) as a fourth type of foundational supplement because research indicates dietary nucleic acids are essential nutrients—see our many articles on dietary nucleic acids, Dr. Benjamin S. Frank, and about Rejuvenate! superfoods (Original Greens, PLUS, and Berries & Herbs). Two categories of foundational supplements were added more recently: gut health formulas (especially Restore) and hydrogen formulas. Hank wrote an article (Amending the HPDI Foundational Program) about these changes in April 2016. We added these two categories after much consideration regarding their benefits, and have written extensively about them (see Resources below). Taking one supplement from each of the six foundational supplement categories helps build, support, and maintain optimal health. We at HPDI recommend everyone take one of each type of foundational supplement. That is, we suggest an individual select for personal use a multivitamin, vitamin C/antioxidant formula, essential fats formula, Rejuvenate!™ superfood (or other high-RNA superfood), hydrogen product, and at least one gut health product (typically RESTORE) depending on their gut-health needs). Likewise, we suggest health care professionals recommend for their clients one of each of the six types of foundational supplements. The other two categories in the HPDI nutritional supplement system are Enhancement Formulas and Specific-Condition Formulas (see cone diagram). These are not foundational supplements. However, I include the supplements I take in these categories to show how Enhancement and Specific-Condition Formulas fully integrate with Foundational Supplements to form a complete supplement program providing not only essential nutrients required for health, but also particular nutrients required by me. This makes the system fully “customizable” to individual needs. Thus, I take supplements from all three categories (Foundationals, Enhancements, and Specific-Condition) in the HPDI supplement system. However, I always prioritize foundational supplements—I take them first—because they are the all-important “base” on which my personal supplement program rests. Foundational supplements ideally are the base on which your supplement program—or those of your clients—rests, as well. 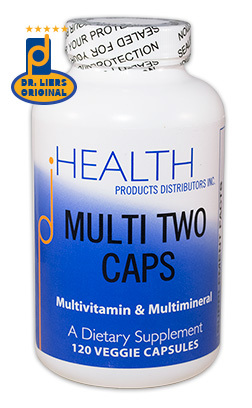 Muti Two Caps is a high-potency multivitamin with advanced forms for optimal utilization in the body. Individuals who use all six types of foundational supplements do best in terms of optimizing health. The reason is that all six foundational supplements provide nutrients required for good health. All six types of foundational supplement provide unique benefits. Yet, each performs functions required by the human body for good health. That is one reason when they are combined they exert synergistic effects for health going far beyond the benefits just using a few types of foundational supplements, depending on individual needs, of course. Individuals benefit from a structured system of supplements that can be tailored to their needs. Otherwise basic nutrients may be left out from daily intake. For example, I know people who may or may not take a multivitamin. And they may or may not take vitamin C. Yet, they may take calcium for their bones, glucosamine for their joints, and lutein for their eyes. Or they may take a low-potency multivitamin providing merely the RDA for all nutrients. It is fine that individuals take supplements they regard as important or useful. But that does not guarantee that a wide range—and sufficient levels—of nutrients necessary for health are available to the body on a regular basis. The best way to ensure a sufficient range of nutrients at plentiful levels is to take foundational supplements. After a baseline of nutrients is established by taking foundational supplements, additional supplements can be added, as necessary. Following such a system and using it to customize a personal supplement regimen means there is a far better opportunity to obtain essential nutrients on a daily basis. And not to miss nutrients that help create optimal health. 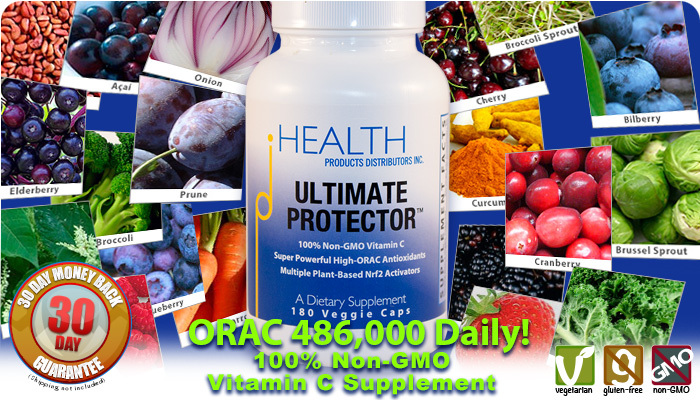 After obtaining sufficient levels of basic nutrients required for health, then a person can add (or you can recommend) specific nutrients or formulas that target certain problems or issues. This is the basis for HPDI’s creation of Enhancement Formulas and Specific-Condition Formulas. 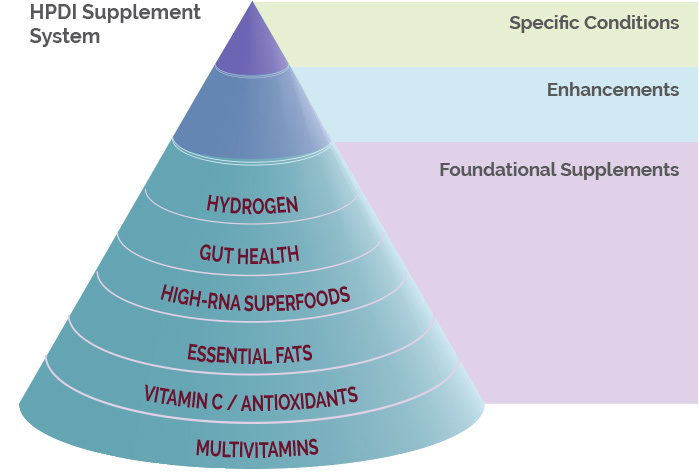 Nutritional supplements in the categories of Enhancement Formulas and Specific-Condition Formulas “stack” on top of HPDI’s Foundational Supplements (see cone diagram above). In this way, a complete nutritional supplement program begins with the most essential nutrients and continues with customizations based on the unique needs of an individual. We offer a complete range of supplements (almost 100) including a range of supplements formulated to address specific conditions. These include Joint Health Formula, Eye & Vision Formula, Blood Sugar Support, Allergy Support, Prosta Plus, Intestinal Rejuvenation Formula, and many other formulas. ONE SYSTEM. THREE TIERS. HPDI NUTRITIONAL SUPPLEMENTS. 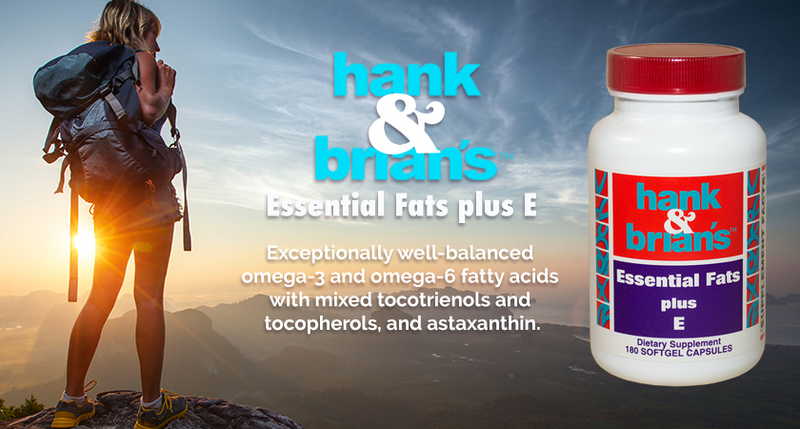 Essential Fats Plus E provides well-balanced omega-3 and omega-6 fatty acids. In recent years, genetic tests have become available that show gene variations can cause or predispose a person to serious conditions relating to important body functions such a lessened ability to process synthetic B vitamins (like folic acid), higher blood glucose levels, lower immune system function, and bone density problems relating to variants in the vitamin D receptor (VDR) gene, for example. We recommend a genetic test to determine whether individuals have certain gene variations impacting health. HPDI has teamed with a genetic testing company (BodySync, Inc.) and sells BodySync test kits on our Reseller site. To read about the BodySync genetic test and test kits click here. Genes tested for in the Bodysync test include variations in genes impacting folate assimilation, cardiovascular health, detoxification, bone health, and more. Resellers can purchase the test kits directly from HPDI and retail customers can call us (800-228-4265) to find out how we can help them get a test kit and support them with any associated counseling regarding the results. Genetic testing allows individuals to gain a clearer picture of where they may require additional or specific nutritional supplementation. In this respect, HPDI foundational supplements can play a significant role in providing the amounts and range of important nutrients that can help mitigate the adverse effects of certain gene variations in addition to diet, exercise, and lifestyle factors. After testing, you will receive a Bodysync Action Plan that makes recommendations for a healthy diet and lifestyle customized to your unique genetic profile. Very important for energy production, recovery, antioxidant functions, and gut health. Hydrogen supplements like VR Tablets and Megahydrate ensure high levels of hydrogen are available in the body. It depends on your needs: cleansing (Intestinal Rejuvenation Formula), probiotic/microbiome support, or tightening tight junctions in the gut (RESTORE)? We offer products for all these purposes. Typically, the first gut health formula we recommend is RESTORE because so many people require extra support for microbiome health and to restore gut integrity. You can also contact Fred Liers, PhD or Hank Liers, PhD (formulator) with questions you may have regarding specific products, single nutrients, or formulation.